For safety reasons, Tabini wants Bren and Ilisidi to take charge of Cajeiri, and protect him and his young guests. They themselves are very likely targets of whatever's going on, no question of it. So is Cajeiri. But having the targets separated and contained is an advantage. It's Bren's responsibility to entertain the guests, keep the security problem secret...and let a lonely eight-year-old prince reestablish his controversial relationship with the only other children he's ever met...inside the best security they can manage. ©2013 C.J. 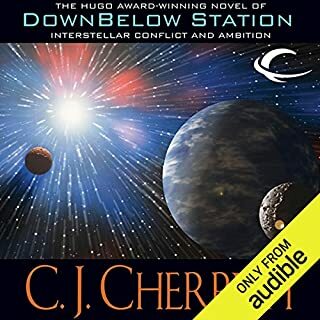 Cherryh (P)2013 Audible, Inc. 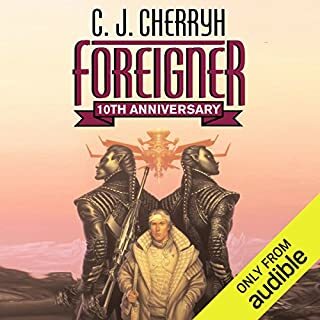 I was listening to this book and it occurred to me that someone who had not been following the Foreigner series would probably be totally lost. So I would urge anyone who is interested in this book to go to the first volume in the set and read forward. 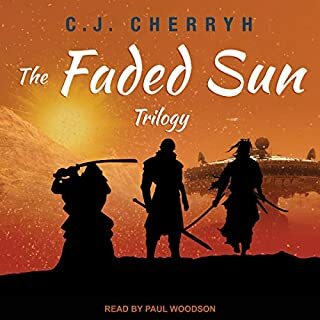 I have found a lot of pleasure in reading these books over the years but the worlds and cultures created by Cherryh are complex and full of concepts that may require a glossary and a character list for first time readers. We are back on the home world of the atevi. The son of the ruler of the Western Association, Cajeiri, is approaching his ninth birthday. The number nine in this culture as particular significance. His father has agreed to allow him to have a visit from three of his human friends from the space station. But, as usual where the atevi (and the humans) are concerned there is a witches brew of politics. And in the middle of it is Bren Cameron, the translator/diplomat whose tenure has seen the most incredible changes in the human/atevi interface. 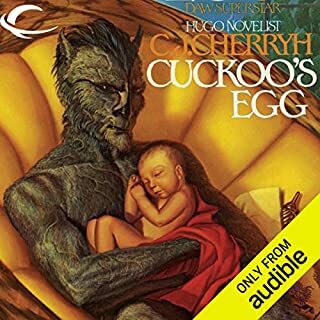 the narrator is also quite good with consistent pronunciation of the many unusual words and names used. A great entry into the Foreigner universe. I have read and reread this books for years, and have always enjoyed the political back and forth throughout these books. The wonderful points of view, Bren and Cajieri's lives are always interesting and fraught with danger. Illsidi with her sharp wit and distinctive rap of her cane. My problem with Mrs. C.J. Cherryh is she seems to be retconning the story in these latter books. For example, all of a sudden the reasons for the mission to Reunion Station seems to have changed or peoples motivations shift. Its is slightly jarring to find things from the earlier trilogies that were set down in print seem not to apply anymore. I understand changing things here and there to keep the flow even and not have two or three chapter of "What Has Come Before" exposition, but some of it almost seems lazy writing. Don't misunderstand this series is one of my all time favorites. 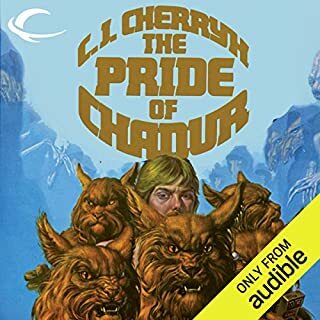 Also the Fortress series is wonderful, along with the Hammerfall books and the Faded Sun trilogy introduced me to the amazing world building and realms of political space dramas in my teenaged years. I understand that in the Foreigner universe they are continually examining the politics and motivations to more deeply explore the world.... arrg.... other fans may have noticed or not. I can't seem to put it into words. As good as ever! Best SF series! Marvellous. Would you listen to Protector again? Why? Yes I will listen to this many times more. The political intrigues and the wit of both aiji dowager Illiidi and Bren Cameron is so good. I just love The way Bren, Illisidi and their allies work together. Casijie is growing up very well and I find him so amusing and loveable at times. I love Daniel Thomas May's performance so very, very much. I already have a collection of the books and now I'm collecting the audiobooks as well!!. Can't wait for the next book. Bren - he is so smart and admirable and so diplomatic. He is able to sort things out o well. Great story about a beloved character. Plenty of action and intrigue. Lived to see the old Tatiseigi teansformed by the youngsters. Heading is required, although shown as "optional"? I loved it. 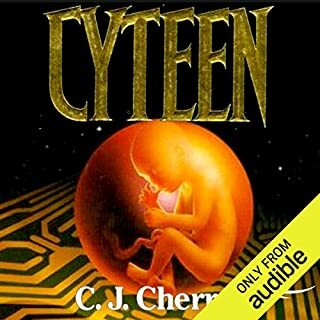 Ms. Cherry portrays characters not just well, but exceptionally well - (from elder, opinionated-yet-regal dowagers to precocious, not-yet-nine-but-wise children). I know I'll discover something new about her characters in each recurring listen...and as for Bren, what CAN be said???? My thanks to Daniel Thomas May for narration - which is always exceptional. check the first book in this sequence for the full review. This continues where thing's left off in the last book and there is 1 more book left in this sequence so if you have read this one you have to go to the next one to really get an ending, as I have said a few times before these are 1 book split into 3 for the sequences. 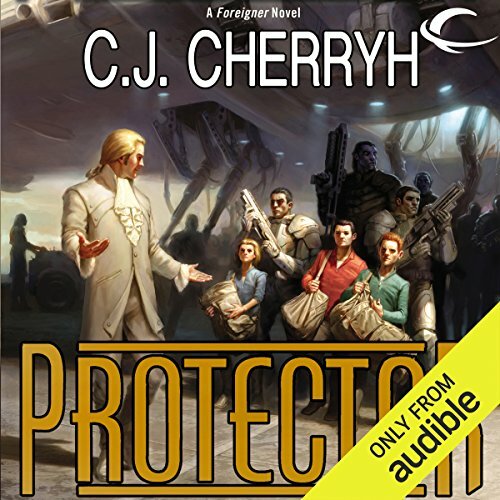 If you could sum up Protector in three words, what would they be? Brin. His character was so well developed and so unique. Not your usual hero. What does Daniel Thomas May bring to the story that you wouldn’t experience if you just read the book? He does an excellent job with the different voices and his dialog delivery is excellent. This entire series is addictive. I can't wait for the next book.